Scott Evans Dekraai, 41, divorced his wife Michelle in 2007 after four years of marriage. 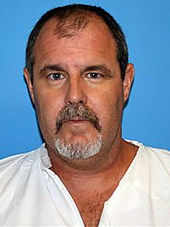 Court records showed that he had been engaged in a bitter custody dispute over his eight-year-old son. His personality was said to have changed after an accident on board a tugboat in February 2007, which left him with serious leg injuries. Following an incident later in 2007 involving his stepfather, a restraining order was filed against him, barring him from possessing firearms. The order lasted a year and had expired at the time of the shooting. 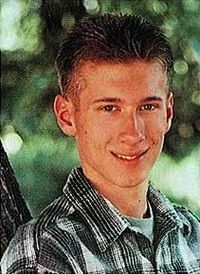 Court documents filed in September 2008 diagnosed him with posttraumatic stress disorder. A court hearing had taken place on Tuesday, October 11, 2011, the day before the shooting, which recommended a near-equal custody arrangemaent. Scott performed the Seal Beach mass shooting that occurred on October 12, 2011, at the Salon Meritage hair salon in Seal Beach, California. Eight people inside the salon and one person in the parking lot were shot, and only one victim survived. It was the deadliest mass killing in Orange County history. George Kelly Barnes (July 18, 1895 – July 18, 1954), better known as “Machine Gun Kelly”, was an American gangster during the prohibition era. His nickname came from his favorite weapon, a Thompson submachine gun. His most famous crime was the kidnapping of oil tycoon & businessman Charles Urschel in July 1933 for which he, and his gang, earned $200,000 ransom. 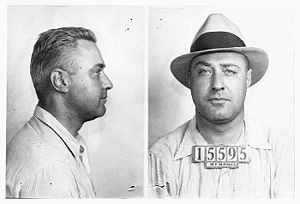 The FBI investigation eventually led to Kelly’s arrest in Memphis, Tennessee on September 26, 1933. His crimes also included bootlegging and armed robbery. As he lived in the Prohibition era of the 1920s and 30s, Kelly was able to find work as a bootlegger for himself as well as a colleague. After a short time, and several run-ins with the local Memphis police, he decided to leave town and head west with a new girlfriend. To protect his family and escape law enforcement officers, he changed his name to George R. Kelly. He continued to commit smaller crimes and bootlegging. He was arrested in Tulsa, Oklahoma, for smuggling liquor onto an Indian Reservation in 1928 and sentenced for three years to Leavenworth Penitentiary, Kansas, beginning February 11, 1928. He was reportedly a model inmate and was released early. Shortly thereafter, Kelly married Katherine Thorne, who purchased Kelly’s first machine gun and went to great lengths to familiarize his name in the underground crime circles. She was known to hand out the expended .45cal cartridge casings from his Tommy Gun as souvenirs. Some historians claim that Katherine even went so far as to plot some small bank robberies. Nonetheless, Kelly’s last criminal activity proved disastrous when he kidnapped a wealthy Oklahoma City resident, Charles F. Urschel and his friend Walter R. Jarrett. Urschel, having been blindfolded, made sure to foil his kidnappers by noting all possible evidence of his experience such as background sounds, counting footsteps and leaving fingerprints on every surface in reach. This in turn proved invaluable for the FBI in their investigation, as they learned that Urschel had been held in Paradise, Texas. An investigation conducted at Memphis disclosed that after 56 days on the run, the Kellys were staying at the residence of J.C. Tichenor. Special Agents from Birmingham, Alabama, were immediately dispatched to Memphis, where, in the early morning hours of September 26, 1933 a raid was conducted. George and Katherine Kelly were taken into custody by FBI Agents and Memphis police officers Sergeant William Raney and officer Thomas Waterson. Caught without a weapon, George Kelly supposedly cried, “Don’t shoot, G-Men! Don’t shoot, G-Men!” as he surrendered to FBI Agents. The term (which had applied to all federal investigators, meaning simply ‘Government Men’) became synonymous with FBI Agents. Reports of the raid, however, indicate that George Kelly came to the door, dropped his pistol and said, “I’ve been waiting for you all night.” Recent research revealed a 1933 newspaper interview with one of the federal agents at the arrest. He commented that, upon their arrest, Katherine Kelly put her arms around George and said, “These G-men will never leave us alone.” The FBI press machine generated the G-Man story to build its own reputation. In October 1933, George and Katherine Kelly were convicted and sentenced to life imprisonment. The trial was held at the Post Office, Courthouse and Federal Office Building in Oklahoma City. Katherine Kelly and her mother had all charges dropped and were released in 1958 from prison in Cincinnati. The kidnapping of Urschel and the two trials that resulted were historic in several ways: 1) they were the first, last, and only federal criminal trials in the United States in which moving cameras were allowed to film; 2) the first kidnapping trials after the passage of the so-called Lindbergh Law, which made kidnapping a federal crime; 3) the first major case solved by J. Edgar Hoover’s evolving and powerful FBI. For that, Kelly got sent into Alcatraz; 4) the first crime in which defendants were transported by airplane. At the time, it was the largest ransom ever paid in the United States. Machine Gun Kelly spent his remaining 21 years in prison. During his time at Alcatraz he got the nickname “Pop Gun Kelly.” This was in reference, according to a former prisoner, to the fact that Kelly was a model prisoner and was nowhere near the tough, brutal gangster his wife made him out to be. He spent 17 years on Alcatraz, working in the prison industries, and was quietly transferred back to Leavenworth in 1951. He died of a heart attack at Leavenworth Federal Prison, Kansas on July 18, 1954, his 59th birthday. He is buried at Cottondale Texas Cemetery with a small headstone marked “George B. Kelley 1954”. David Richard Berkowitz (born Richard David Falco; June 1, 1953), also known as Son of Sam and the .44 Caliber Killer, is an NRA Tea Party Insurrectionists Extremist Gunophile Fetishists serial killer and arsonist whose crimes terrorized New York City from July 1976 until his arrest in August 1977. Shortly after his arrest in August 1977, Berkowitz confessed to killing six people and wounding several others in the course of eight shootings in New York between 1976 and 1977; he has been imprisoned for these crimes since 1977. 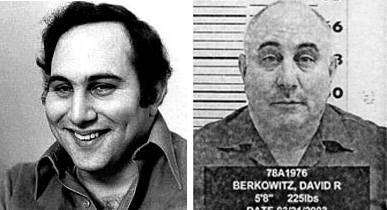 Berkowitz subsequently claimed that he was commanded to kill by a demon who possessed his neighbor’s dog. 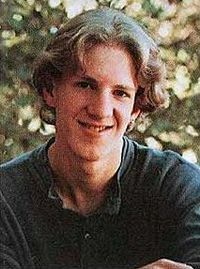 Berkowitz later amended his confession to claim he was the shooter in only two incidents, personally killing three people and wounding a fourth. The other victims were killed, Berkowitz claimed, by members of a violent satanic cult of which he was a member. 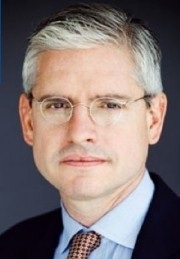 Though he remains the only person charged with or convicted of the shootings, some law enforcement authorities argue that Berkowitz’s claims are credible: according to John Hockenberry formerly of MSNBC and NPR, many officials involved in the original “Son of Sam” case suspected that more than one person was committing the murders. Hockenberry also reported that the Son of Sam case was reopened in 1996 and, as of 2004, it was still considered open. 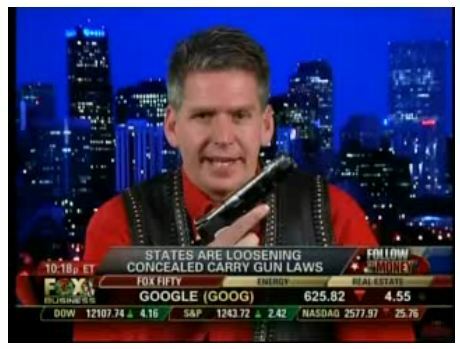 With NRA Extremists like this, who needs a militia? *This post is written as part of the Media Materials Gun Facts fellowship. The purpose of the fellowship is to further Media Materials’ mission to comprehensively monitor, analyze, and correct gun misinformation in the U.S. media. Some of the worst misinformation occurs around the issue of guns, gun violence, and extremism; the fellowship program is designed to fight this misinformation with facts.